Registration has closed for Flight B of the $580 No-Limit Hold ‘em event at the Foxwoods Circuit Series. A total of 209 players entered the second flight. There is a $150,000 guaranteed prize pool for this event. 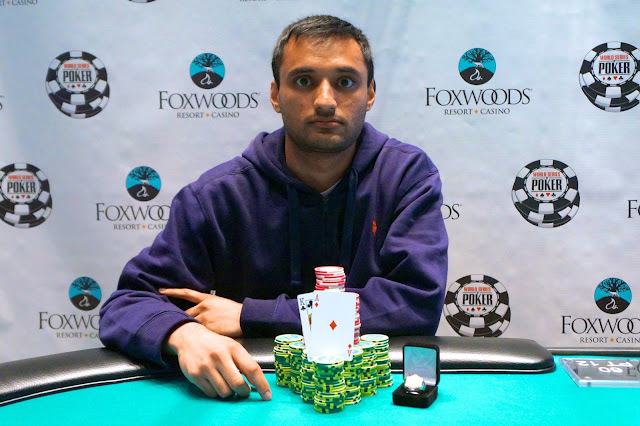 Congratulations to Ketan Patel, winner of the $365 No-Limit Hold 'em event at the Foxwoods Circuit. Patel takes home $36,500 for his first Circuit victory. We are down to ten players in the $365 No-Limit Hold 'em event at the Foxwoods Circuit Series. Registration has closed for Flight A of the $580 No-Limit Hold 'em event at the Foxwoods Circuit Series. A total of 240 players entered the first flight. Flight B will kick off at 5pm. If you are eliminated from Flight A, you may re-enter in Flight B. There is a $150,000 guaranteed prize pool for this event. Day 2 of the $365 No-Limit Hold 'em Now Streaming Live! The final 17 players in the $365 No-Limit Hold 'em event have returned for Day 2 and cards are in the air. $580 No-Limit Hold 'em Flight A is Underway! Flight A Event 5 at the Foxwoods Circuit, the $580 No-Limit Hold ‘em, is now underway. Players start with 12,000 in chips and if you are eliminated, you have the option of re-entering in Flight B at 5pm today. The two flights will combine on Monday when Day 2 kicks off. This event features a $150,000 guaranteed prize pool, the biggest of the series so far. 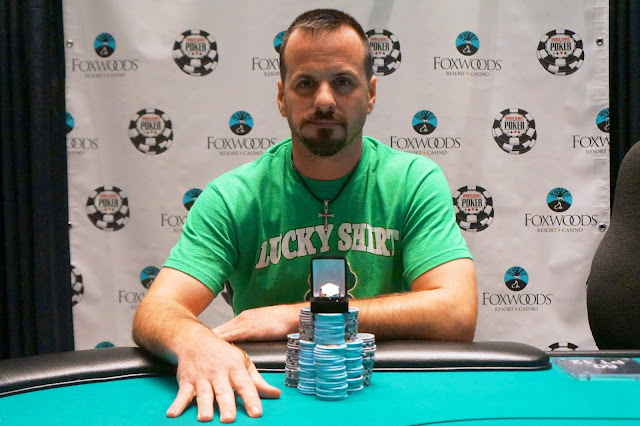 Congratulations to Eric Judge, winner of the $365 Omaha Eight-or-Better event. Judge takes home $11,535 for his victory.